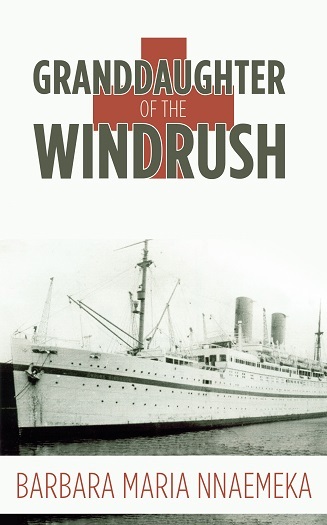 Editor’s Note: Extract taken from Barbara Maria Nnaemeka’s memoir: Granddaughter of the Windrush, written by Barbara Maria Nnaemeka. Published by Book Guild Publishing on 27th June 2013. £10.99. www.bookguild.co.uk. The official commencement of the nursing course was July 1966. The hospital authorities accepted the Bajan trainee nurses two weeks in advance of the official start date in order to give us time to orientate to our new surroundings. We arrived in Wakefield on a Friday afternoon and spent the weekend recovering from the transatlantic journey and the remnant jetlag. The tutor Miss Amy (not her real name) made provision for us to receive the appropriate care over the weekend in order that we would be refreshed and ready for the real business of nursing by Monday. On my first Monday in England the tutor accompanied me and the other new Bajans on a tour of the hospital. I was bewildered by the long corridors and the anxiety etched on the faces of the patients, some with very pale, gaunt faces and sad eyes, others with brighter eyes who managed to smile at us. I had never been so close to a hospital ward before, even though I had attended the Casualty department in Barbados on several occasions. I had never seen a bedpan before and I was ignorant of the fact that men also used bedpans: I had the notion that women used bedpans and men used bottles. It was indeed a shock for me when Miss Amy discovered my ignorance and spent a considerable length of time trying to educate me on the rudiments of excretion receptacles. By the end of the tour my head was spinning with the volume of information the tutor had given us, and I was concerned about how I was going to absorb all the nursing information when the course finally commenced. The tutor explained that we would have to spend the first two weeks in the hospital to get used to the environment and gain an insight into the complexities of caring for sick people. The working day started at eight o’clock in the morning and finished at five o’clock in the evening, with scheduled breaks in the mid-morning and the afternoon, and I did find the days long, monotonous and tedious. I had only just left school and had never undertaken any compulsory work before, although I had assisted an older friend with needlework. She worked at home for a company and had tight deadlines to submit the finished products and often engaged my older sister and me when her schedule was critical and she still had many pieces of work to complete. The money I received from her was the main source of my pocket money and I used the meagre earnings to buy items that were essential to teenage existence. That was a relief for me and my parents because they did not have to worry about stretching their limited resources to meet my need for pocket money. Handcraft work is no comparison to sustained compulsory work, however, and so I was nearly collapsing by the end of each day during my early weeks in Yorkshire. I eagerly looked forward to resting at the end of the day and especially at the weekend. My first mentor was the ward orderly (I will call her Mary), who seemed to be busy throughout each hour that she was on duty. Mary was a married woman of average height and size who might have been about thirty-four years old. She had piercing blue eyes and very blond, almost white hair that she wore in a short neat style. Her skin was very pale compared to the tanned skin of the white people I was used to seeing in Barbados. She wore pale lipstick which exaggerated the pallor of her face, and at our first meeting I wondered if Mary was ill, although I soon reasoned that she would not have been on the ward working if she was ill. She spoke quietly, but with a measure of authority, and expected me to be as busy as she was. It was very difficult for me to work at her pace because the Bajan pace of life to which I was accustomed was like a crawl in the park compared with the sprint that I had to maintain to keep up with Mary. I was Mary’s shadow during my first two weeks on the ward and I followed her around like a young puppy that had just been plucked from a litter of seven. Mary showed me how to scrub the metal bedpans, bottles, sputum mugs and tooth mugs, and the smells form the carbolic and other disinfectants that we used always permeated the sluice room. The smell clung to my uniform like a strong perfume and it was very difficult to get rid of it when I had completed my duties. Mary also taught me how to change flower vases and arrange new flowers when the patients’ relatives brought in their daily supply of roses, carnations, daffodils and other beautiful flowers. The fruit bowls had to be arranged in a decorative fashion after the fruit had been washed in the metal kitchen sink. Individual patient lockers and bed tables were washed daily with disinfectant, and bed-making was an art of arranging crisp white sheets and pillowcases with neat, precisely creased ends – and all in time for the matron’s ward round. Many of the skills that I acquired during those days are still fresh in my mind, but the approach to the practice of some of those skills has changed considerably in the twenty-first century. It appears that nursing priorities in caring for patients have been modified markedly. It is debatable whether or not the changed priorities have enhanced patient care and patient recovery outcomes. One of the obvious changes is the absence of the matron’s ward round. This was designed to give the matron the opportunity to obtain a summary of how the patient population was faring and take appropriate action to resolve any issues that could undermine patient recovery. The matron’s ward round was like a royal visit, although it was in reality a kind of military procession that occurred at any time from mid-morning onwards.